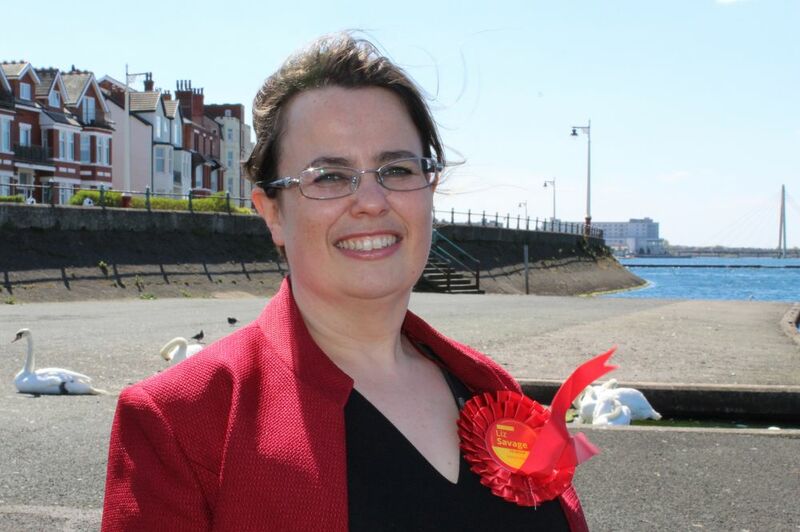 Labour make history in Southport. Lib Dems must now accept changed role. We made history! YOU made history!! It’s not a claim many people or campaigns can make…. but we can, we did! Now that our rosettes are unpinned; our campaign HQ has closed it’s doors; our boards are being taken down and all those Lib-Dem campaigning leaflets are just so much junk mail, (were they ever anything else?) we can reflect on what a truly momentous result we achieved in this election. In just over two years we have nearly quadrupled our vote in Southport! That is remarkable. We would like to thank every single constituent who voted for us, you can be proud; we have all sent a clear message that Southport is changing. We just came second, for only the first time in over half a century. 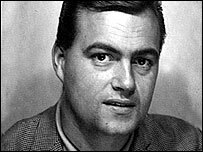 Not since a youthful John Prescott, back in the days before he had his Jags and didn’t have such a strong objection to eggs, had we done this – way back in ’66. This time, our candidate, Liz Savage, went one better and also produced our BEST EVER result in Southport, with nearly 33% of the vote and over 15,600 votes. A fantastic achievement. Liz stood in 2015 and doubled our vote, she virtually did the same this time around and gained nearly 25% more votes than the Lib-Dems. She was just 6% short of taking the seat and had a bigger share of the vote than when the Lib-Dems held it two years ago. If the Lib-Dems had not split our vote Liz would now be the MP for Southport. Next time, we firmly believe we will make history again and it WILL be a Labour MP for Southport. For far too long the Liberal Democrats party in Southport has ridden on the backs of Labour supporters; no longer! For decades Labour supporters in Southport did the decent thing, reluctantly accepting the harsh choice of voting Lib-Dem to stop the Tories. But times have changed in Southport, this is no longer the constituency of old. Southport wants change. Just look at the graphs of the last three elections. We posed a simple question; what exactly has 20 years of a Lib-Dem MP done for Southport? We clearly warned them (see our previous articles) that WE are now the tactical vote here if you want to stop the Tories. They chose to ignore that warning this time; they must not next. Make no mistake, Damien Moore is now the Conservative MP for Southport because they shirked that responsibility. 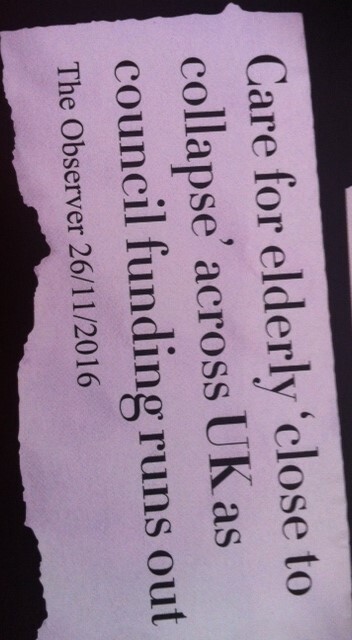 A Tory MP for a town that has its local hospital, schools and its elderly all facing threat from Tory plans. An MP for Southport whose lame duck party are so desperate to hold on to power that they are looking once again to go into coalition; this time with the DUP, despite its terrorist links, its attacks on women’s rights and its anti-LGBT vitriol. Locally, we believe it will soon be clear that Moore means less for Southport. It will soon be clear that Southport needs real change, not continued loose change Tory funding. It will soon be clear that only Labour offers a future for our country based on fairness and hope, offers Southport future regeneration through cooperation with our neighbours. When that happens, we will be there. Southport needs Labour and we are ready. Author adminPosted on June 11, 2017 Categories Editorial, NewsLeave a comment on Labour make history in Southport. Lib Dems must now accept changed role. 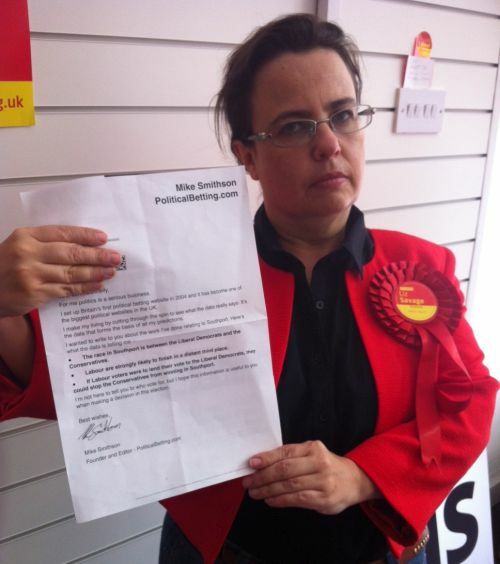 “Cynical and shoddy” Lib Dem Campaigning in Southport under fire. 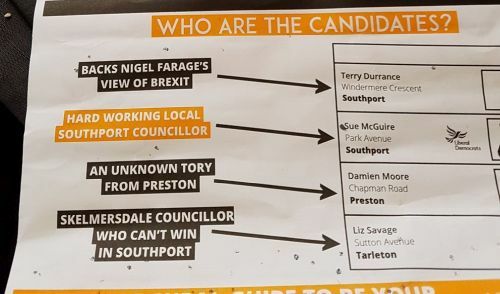 The Liberal Democrats are facing heavy criticism for their campaigning in Southport after releasing leaflets that have been described as “a cynical and shoddy attempt to hoodwink” local voters. 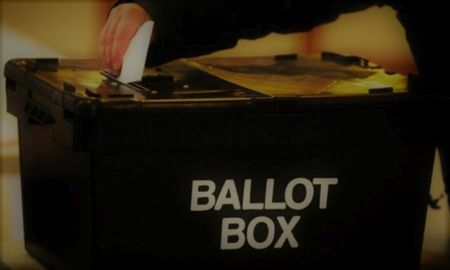 It comes after Southport constituents received a letter within the Lib-Dem campaigning material informing them that Labour was “strongly likely to finish a distant third” and advising them that “if Labour voters were to lend their vote to the Liberal Democrats they could stop the Conservatives winning in the town”. before then offering his advice on the situation in Southport. 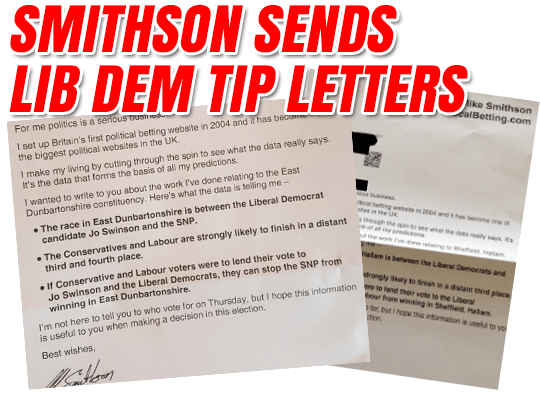 What the letter doesn’t reveal is that Smithson is also a former Lib-Dem politician and that similar letters have gone out to several Lib-Dem marginals, all offering the same recommendation to vote for the party. It seems that instead of “cutting through the spin” as the letter states, Smithson and the Lib-Dems are creating it. John is a Labour supporter and was so annoyed by the letter he took it along to our campaign HQ in Wayfarer’s Arcade to complain. Author adminPosted on June 6, 2017 Categories Editorial, NewsLeave a comment on “Cynical and shoddy” Lib Dem Campaigning in Southport under fire. Ask yourself, what have 20 years of a Lib-Dem MP done for the town? What have the seven years of Coalition and Conservative austerity actually achieved? What have the drop in wages and rise in exploitative work contracts given us? 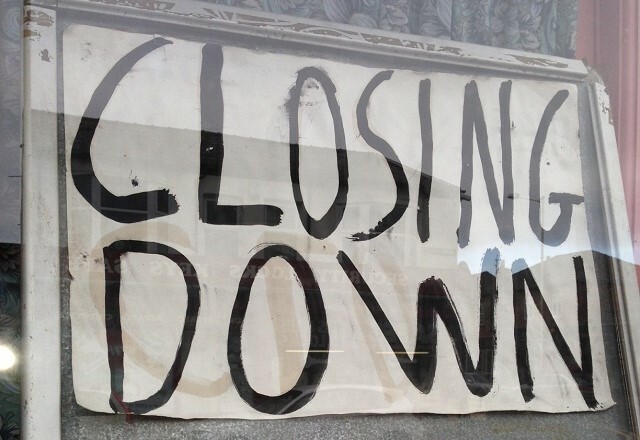 What do you think the windows of so many empty shops in our town truly reflect? (OTS News photo) Look at how Conservative plans are threatening not just our A&E department but possibly Southport Hospital itself. At how our NHS is being underfunded and undermined. How our nurses, doctors and emergency services struggle daily. 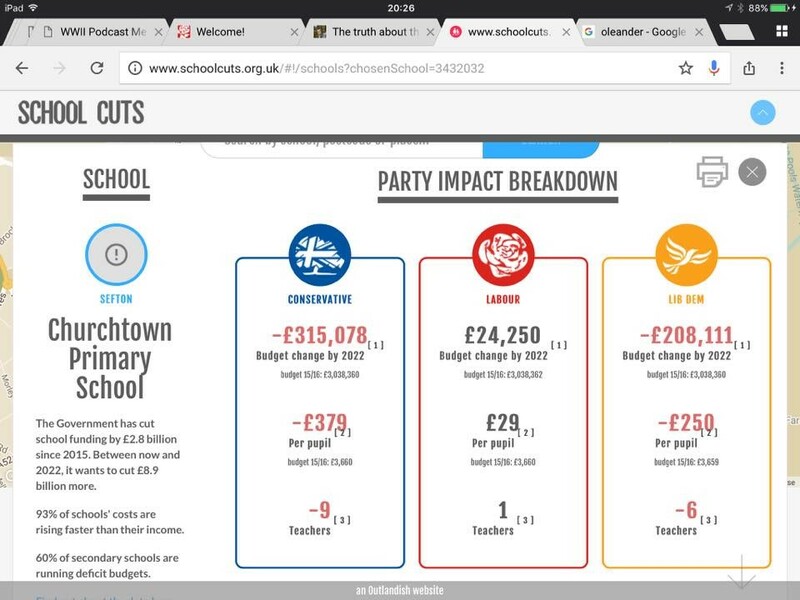 View the funding figures at www.schoolcuts.org.uk and discover how Conservative and Lib-Dem plans could see dozens of local teachers cut from our schools, threatening the education of your children or grandchildren. See the concern etched on the faces of many of our elderly residents, fearful over Tory plans to end the winter fuel allowance, attack their pension rights and introduce the Dementia Tax. Watch how people in our community struggle to get and pay for proper social care; how local families struggle on low wages; how just one of our town’s foodbanks gave out over 45,000 meals in the past year; how fracking threatens not only our surrounding countryside but could also affect private housing under an initiative supported by Southport’s just retired Lib-Dem MP. Then stop and listen to Labour’s alternatives for our town and our offer of a fairer future for our country. *Labour will stop the privatisation of our NHS, massively increase its funding, and integrate health and social care, offering hope and comfort to those most in need. *Labour’s plans are the only ones that could see our schools gain funding and teachers. *Labour’s plans will reassure our elderly residents by securing the triple-lock on pensions, the winter fuel allowance, free bus travel and NOT implementing the Dementia Tax. *Labour will put 10,000 police back in our communities, not accuse them of “crying wolf” when raising genuine safety concerns like Theresa May did. *Labour will help the low waged and end exploitative work contracts. *We will cut tax for our small businesses and offer greater investment in our country’s infrastructure. I believe that our manifesto offers Southport a brighter future and voting Labour offers Southport genuine change. Working closely with Labour colleagues in Sefton, Merseytravel, and the city region mayors in Liverpool and Manchester, I believe our close cooperation can offer Southport a greater chance of regeneration through improved transport links and development. For too long our town has been held back by Lib-Dems fighting with neighbours who could help us. While the current threat to our hospital is the bitter fruit of their going into coalition, kick-starting this period of Conservative rule and brutal cuts. Southport needs the real change that we can offer. Others will try to convince you otherwise of course. Despite threatening our schools, our local hospital and much more besides, the Conservatives think Southport will vote for them and the Lib-Dems will make many bold claims but make no mistake; they aren’t resorting to negative tactics like this leaflet because they think I can’t win. They have also claimed that “more and more Labour supporters are backing the Liberal Democrats this time” but I’d really like to see the basis for that as it doesn’t appear to be born out by various indicators. We have closed the gap nationally and locally. The latest YouGov poll puts us second, behind the Conservatives in Southport. The latest Ashcroft poll has us essentially level with the Lib-Dems at just one percent less. The Liverpool Echo poll had us way ahead of them. The Liverpool City Region Mayor result breakdown in Southport showed we had nearly 20 percent more votes than the Conservatives and three times the Lib-Dems. The support is here. The Lib-Dems say I can’t win but everyone can see the surge towards Labour here. For Lib-Dems in Southport it is crunch time. The choice is Labour or Conservative. 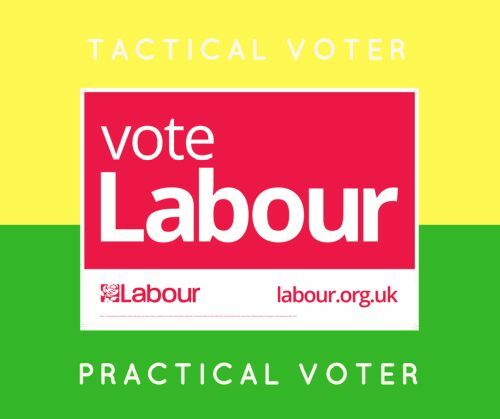 We are now the tactical vote here as only Labour stand a chance of stopping the brutal Tory cuts and their hard Brexit stance. I say to Lib-Dems, Greens and all of Southport, you can share in our vision for a fairer Britain; if we win; you win! Liz Savage, Labour’s Parliamentary Candidate for Southport #GE2017. Labour are now second place just behind the Conservatives according to the latest YouGov poll. The survey results are the latest in a series of indicators showing a surge of support for Labour in the town. Another poll by Ashcroft has Labour essentially level at just one per cent behind the Lib Dems. Both polls are highly embarrassing for the Lib-Dems who have been claiming that Labour “can’t win” and that “more and more Labour voters” are supporting them.